Every day, we are exposed to thousands of brands, but what makes any of them memorable? Often, we’re unaware of the impact that the constant barrage of brands has on us until we realize that we can identify a brand simply by a color, jingle, sign or slogan. But even with our (often unnoticed) loyalty to products, we sometimes forget about our own personal brand and the importance of building it strategically. Personal branding, or the practice of individuals marketing themselves and their careers, may often seem unnecessary, but honing your personal image can make a world of difference. 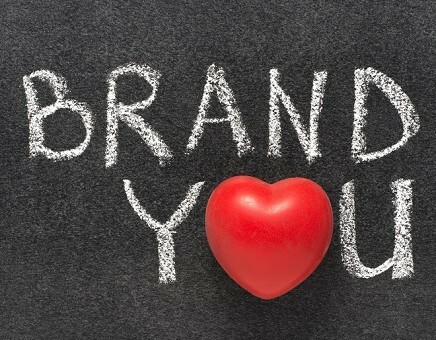 Personal branding is much more than just self-promotion. It goes far beyond the metrics that advertisers pursue to achieve their objectives of brand exposure and recognition. Personal branding has lasting power because it is never-ending, and if done right, it will leave behind a great legacy. So, how does one develop a strong personal brand? Know Yourself – This is by far the most important step in creating a strong personal brand because it’s your “brand identity.” For companies, brand identity is the representation of its reputation through the conveyance of attributes, values, purpose and strengths. With self-reflection about your personal mission and values, you will discover your own individual brand. Position Yourself – Once you’ve established your vision, it’s time to establish your credibility. 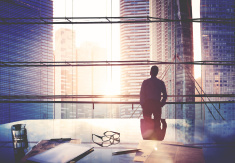 Become a thought leader by doing various activities, such as speaking engagements, serving the community and your industry, or contributing articles to credible outlets or professional blogs. In addition to these activities, creating and maintaining a positive social media presence is critical when establishing your credibility and furthering your brand authority. If maintained properly, your social media accounts will provide you with an invaluable branding tool. Be Yourself – Doing all of the necessary activities to build your brand won’t make a difference, unless you practice what you preach. The most impactful and admired thought leaders are those who are genuine and honest. Always think of your personal brand of being how people around you perceive you. In other words, what do you want people to say when you’re not in the room? Personal branding is a daily exercise, but you can get started by considering your personal values, mission and measurable goals. So, in the thousands of brands that we are exposed to each day, what makes your brand memorable? – Ali Valdivia contributed this blog post.